As discussed in Chapter 4 in regard to the initial deployment of their MariaDB solution at Financial Widgets Plus (FWP) and keeping with the KISS principle, the team chose to stand up a stand-alone environment with replication. 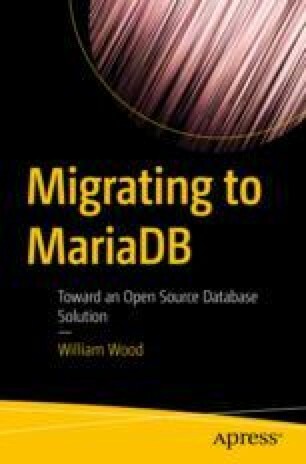 Using this as the basis for their proof of concept work turned out to enable them to get an active MariaDB environment deployed quickly and easily in order to validate what they had already perceived as a viable solution to their database solution alternative. Once the proof of concept was complete, the team then went on to deploy a much more robust high availability solution. Here we will get into detail on the setup and deployments as completed by Vernon’s team, to get them familiar with the database solution by enabling them to rapidly deploy and then extend their MariaDB footprint.